Bowser’s shifting role from game to game makes for some fun gameplay, but it’s a little difficult to nail down his relationship with Mario and Peach as a result. He’s gone from enemy to rival to occasional ally, so it’s hard to believe that he’d want Mario, like, dead. 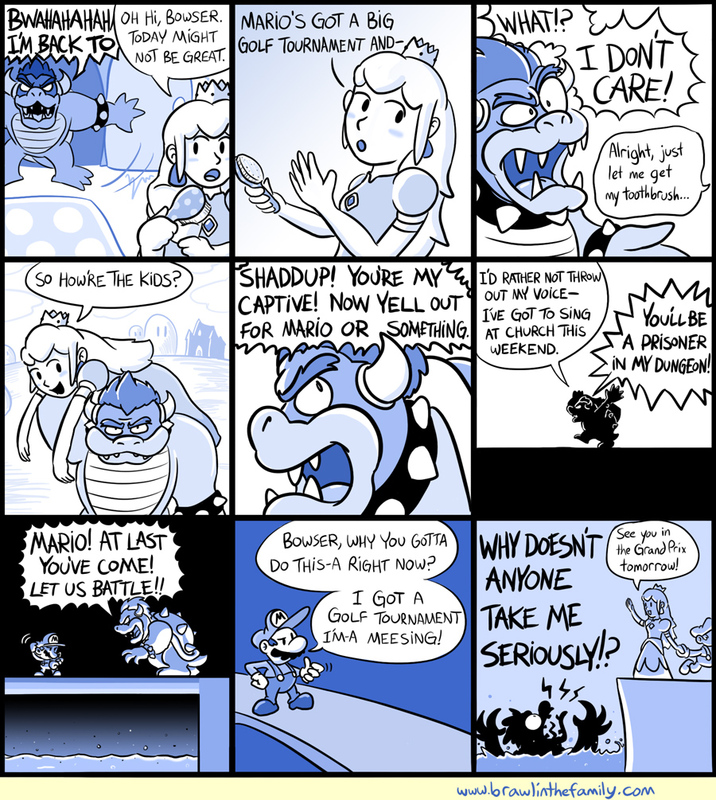 This is kind of how I see kidnappings play out nowadays, as I’m sure the good guys are having trouble seeing Bowser as any sort of real threat by this point. Man, Fire Emblem: Awakening is good.